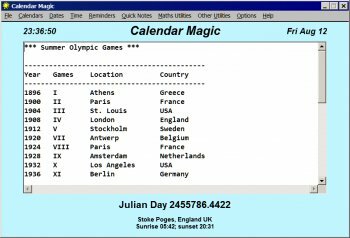 Calendar Magic is an easy-to-use program that is entertaining, informative, educational, and of equal applicability in the home and in the office. 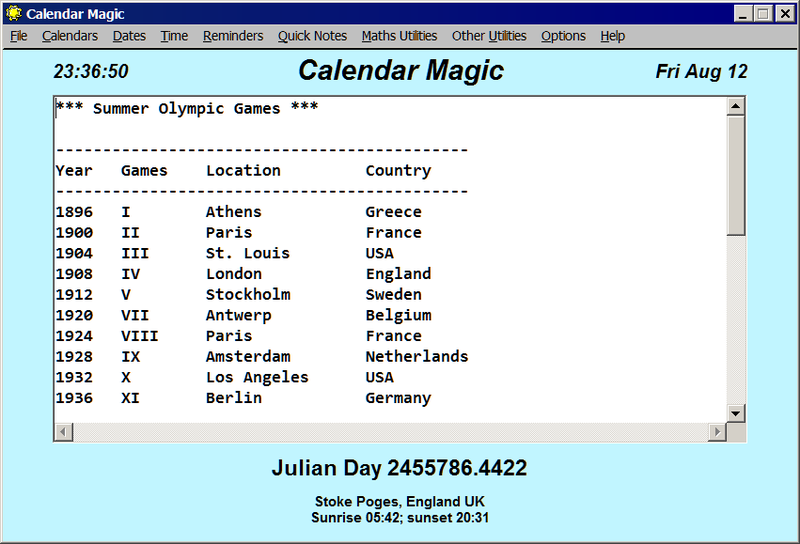 Tom3311 says it reminds him of a DOS application but for some strange reason it reminds me of an AtariST application! :P It really is an awesome little program that is worth a ten! This program is a waste of my time but what a splendid way to waste time. Great fun and I cannot believe it is free. A pregnancy calculator. Just what I have never wanted. Thanks Eurosoft. Can't believe stuff like this is free, just amazing and if you don't like the color scheme, it can be changed to default gray. The utility works without consuming heavy resources. I think Calendar Magic is great, and being free makes it all the better. The Geometry Calculator is really useful. zridling, (Back to the future) come on this is pretty darn nifty. And I love the price. Nice tool; but please work on the interface (GUI). It is colored like chewing gum. Interface this. I especially like the scientific calc gui, though I use this prog rarely. Freeware IS the best. My mistake. Still, it's an interface straight out of 1991. A Swiss Army Knife of features and a very interesting program to use. This program is freeware. To what does "exhorbitant price" refer? Not a bad program at all, and has decent features, but its exhorbitant price and horrid interface makes it repulsive.